Mallards is a beautifully presented detached house which has been professionally styled and furnished to provide a luxurious holiday home, offered outside of school holiday periods at reduced rates with the use of two of its four bedrooms. It has a stunning kitchen with an Aga which is open to the sociable living area with relaxed TV area and spacious dining area overlooking the courtyard garden. Downstairs there is also an impressive garden room providing a lovely separate sitting room, plus the advantage of a ground floor bedroom with shower room, making this house perfect for less mobile guests. 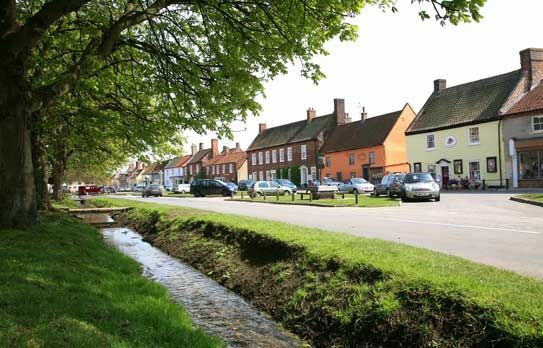 It is ideally situated in Burnham Market's highly sought after quiet Herrings Lane only a stone's throw from the village green and the great selection of independent shops, boutiques, art galleries and excellent places to eat. Please note that during school holiday periods Mallards must be booked with the use of all 4 bedrooms - reduced rates for under occupancy are not available. Living/Dining area: a light and airy space with two sets of doors opening out to the attractive courtyard garden. At one end is a relaxed sitting area with a large comfortable sofa, armchair and a dresser with a large plasma TV with DVD player. At the other end is a dining table with 8 dining chairs. Garden room: an impressive room with a large central canopy window and glazed double doors and windows opening out to the courtyard garden. 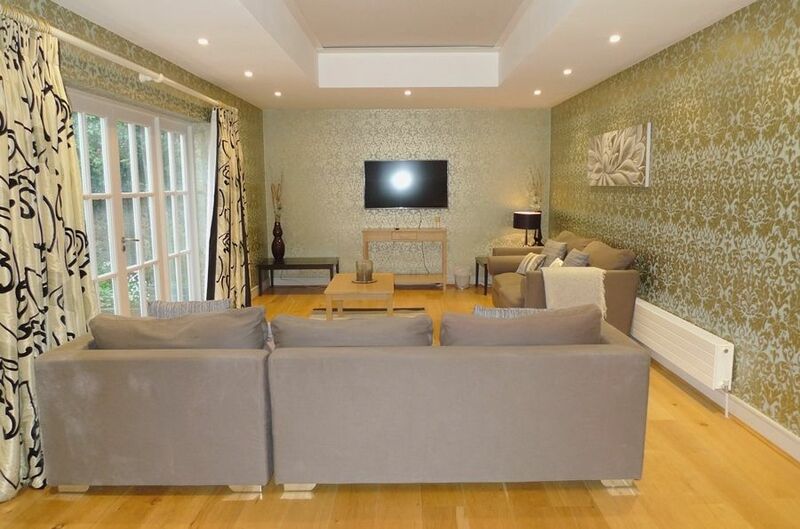 Stylishly furnished with two sofas, coffee tables, occasional lamps, desk and tub chairs and a large wall-mounted TV . Bedroom 4: well presented room at the front of the house with "library" wall-paper. It has a king-size bed, bedside tables and lamps, a wardrobe and dressing table. 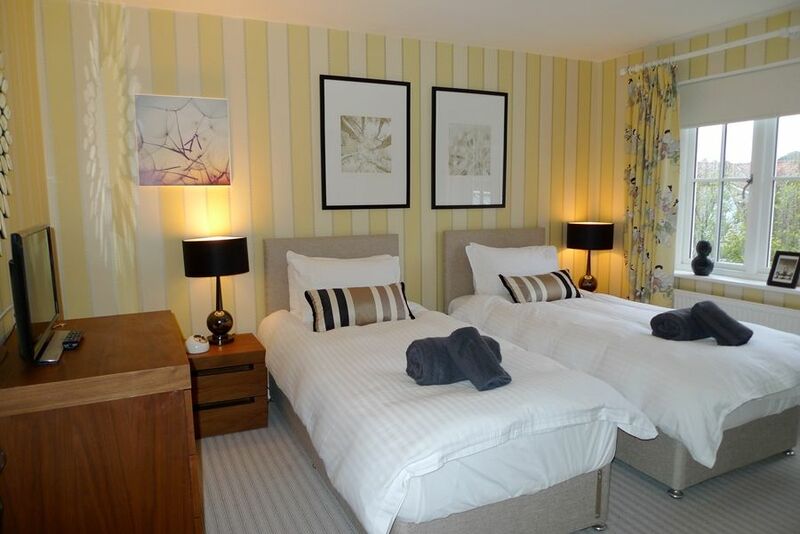 Guests have the choice of TWO bedrooms - please advise at time of booking. Bedroom 1: beautifully presented room overlooking the garden. It has a super king-size bed ( which may be unlinked to provide twin beds if preferred), bedside tables and lamps, a chest of drawers, TV, bedroom armchair and a large walk-in wardrobe. There is an en-suite shower room: contemporary walk-in shower, hand basin, WC and heated towel rail. Bedroom 3: with cream painted full-size bunk beds, a wardrobe and a tallboy. Better than Expected. The Mallards is a beautiful place. Huge kitchen with Aga and a standard cooker. Bedrooms are spacious, plenty of storage. Bathrooms are all spacious and well decked out. Location is perfect, being right in the centre of Burnham Market couldn&apos;t be better plus getting to the beach is within 10 minutes away. We have had a wonderful week at Mallards. The cottage has worked excellently for us and it is brilliantly located in-between Brancaster and Holkham. We have loved our stay in North Norfolk! A lovely week in your pleasant and spacious cottage. Brilliant situation and it worked well for all of us. As always, the property was amazing. We always use Sowerbys and will continue to do so. We stayed with you over the weekend and I wanted to drop you a note to say the cottage exceeded all my expectations. The utensils, crockery and cooking equipment were spotless and the rooms were beautifully presented.